Help us Preserve a Greener Future! 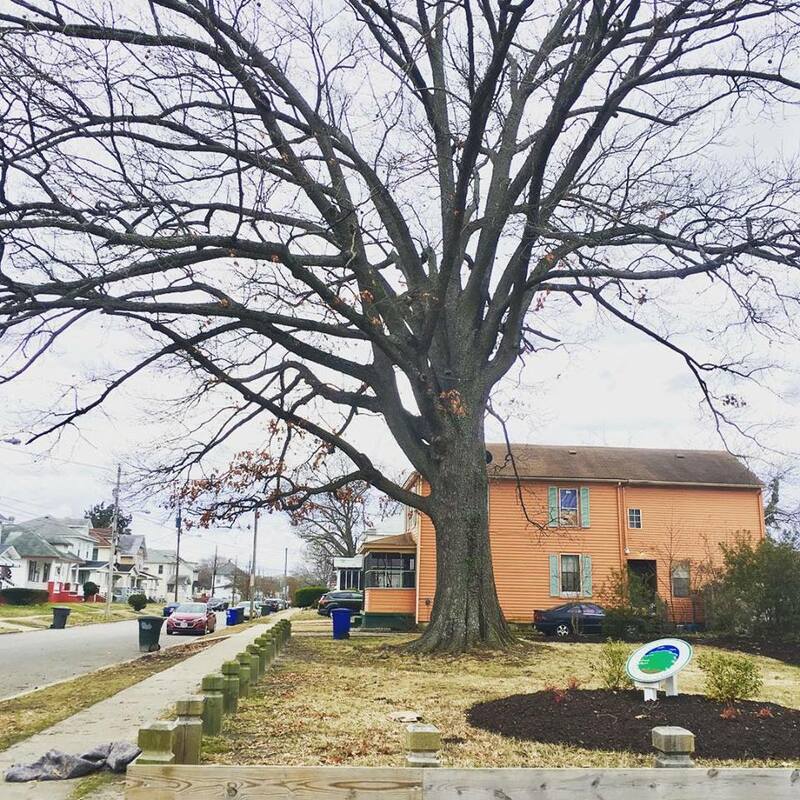 Help Us Restore This Natural Gem! 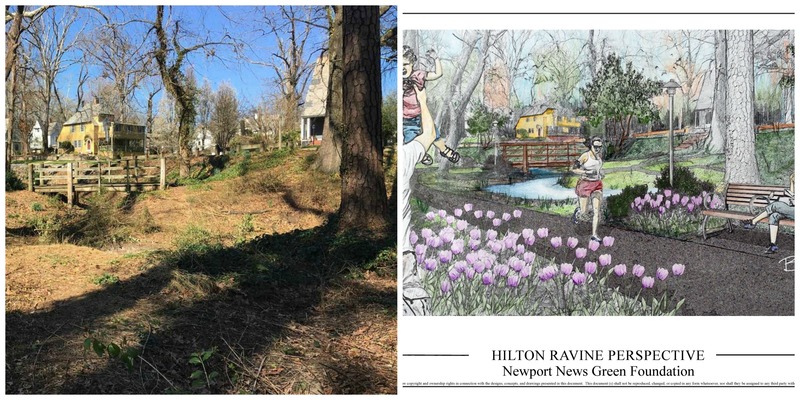 The Newport News Green Foundation enhances the quality of life in Newport News by preserving, transforming, and promoting green spaces throughout the city. Green spaces provide a wealth of benefits – they make cities more beautiful, create wildlife habitat, protect area waterways from pollution, and reduce air and noise pollution. Green space also strengthens the economy by helping to attract businesses and maintain property values, and by making the city safer, cleaner, and more enjoyable. 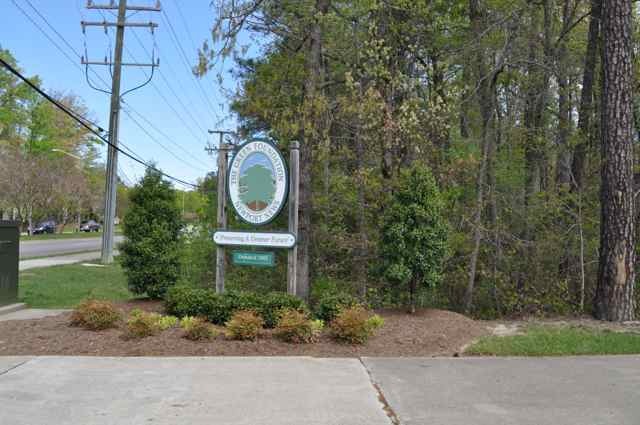 Located in the historic community of Hilton Village, the Hilton Ravine is a natural gem in our community. It features a walking trail and outdoor classroom. We are working with the community and the city to restore this space. 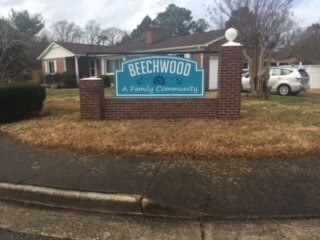 We could use your help! 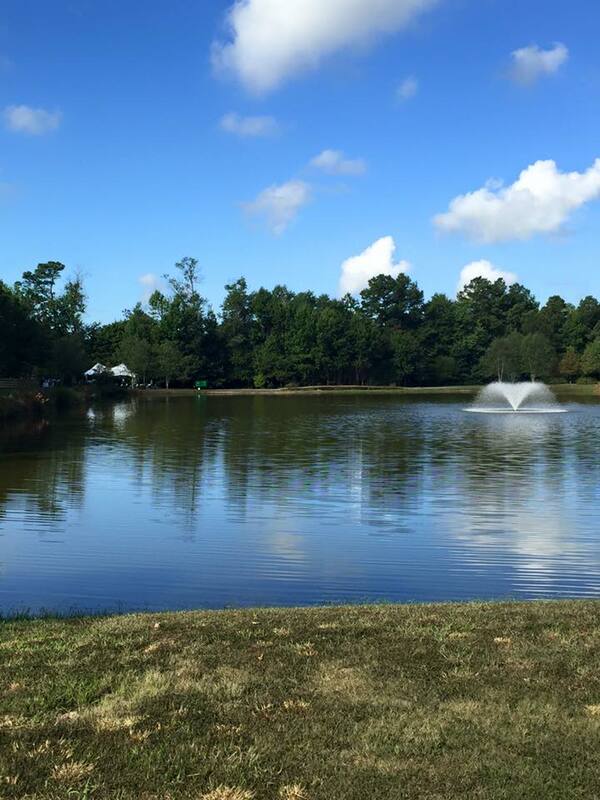 The beautification of our city is a commitment that takes an entire community’s support and dedication! 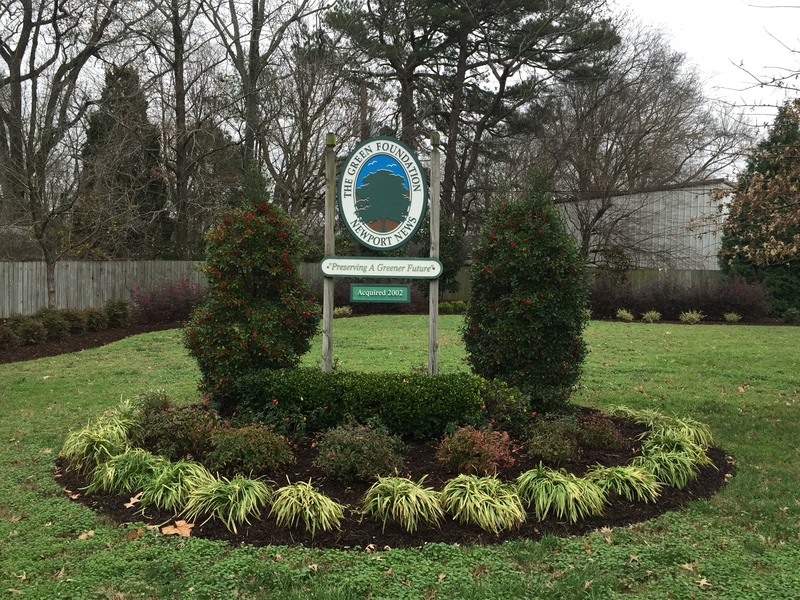 We annually recognize businesses and organizations in our city for maintaining exceptional landscaping. We welcome nominations from the public. 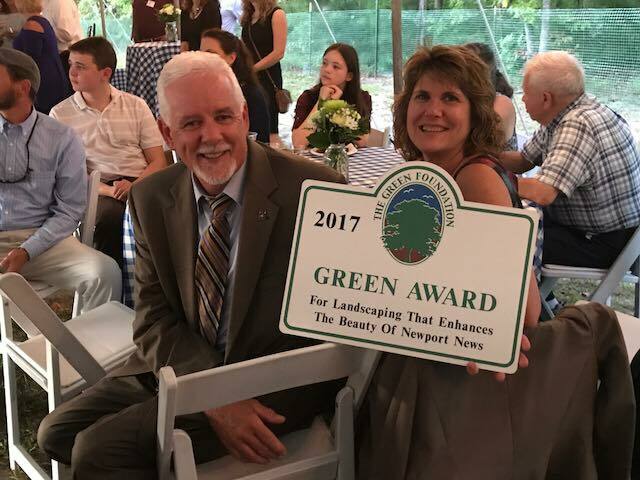 In partnership with the City of Newport News, the Newport News Green Foundation awards grants up to $3500 to residents wishing to improve the entranceways to their communities. Grant Applications are accepted year round until funds are depleted for the year. A growing body of research suggests that there is a positive correlation between green spaces at schools and student performance. 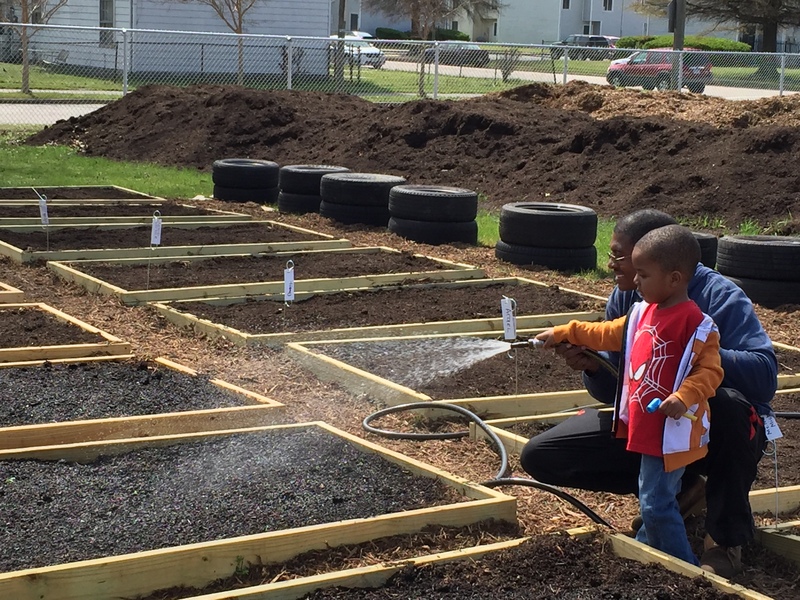 As such, our School Green Space program partners with our local students to build outdoor learning and recreation spaces. 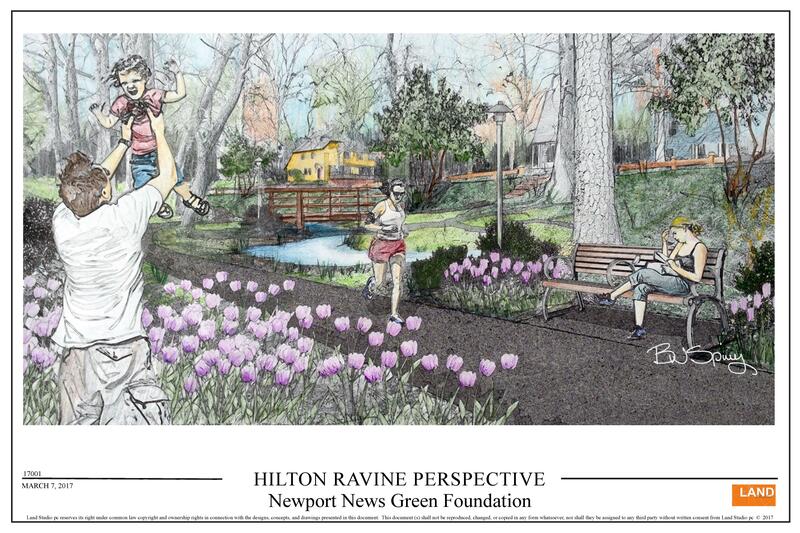 Your donation will help fund green space projects on Green Foundation properties, in neighborhoods, and at schools.